Winter has come, snow is starting to fall, and snow comes with the heightened risk of slips and crashes. As a result, snow often drives bike commuters to use public transit. A group of Seattle-based bike experts were looking for a good alternative to costly studded tires. They managed to find a smart substitution. This amazing innovation by the folks at Dutch Bike Co. can make winter biking easier. You can easily change your standard two-wheeled bike into a snow bike by making use of zip ties. You just have to snap the ties on your wheels and clip off the excess. It’s a quick and easy way of getting some much-needed traction on icy, slushy streets and costs far less than a set of studded snow tires. 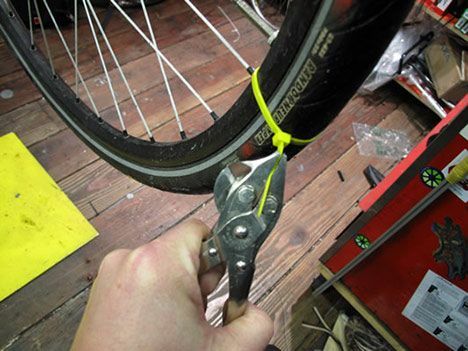 If your bike has rim brakes, wrapping zip ties will get in the way of the brake pads and will cause severe damage. 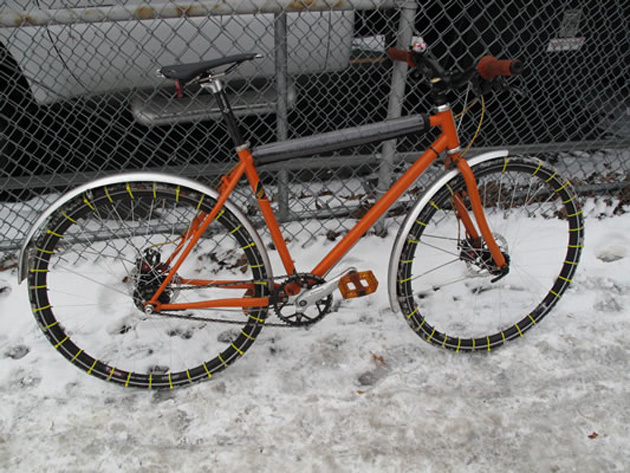 Zip Tie Snow Tires will work only for bikes with brakeless fixie, disc brakes, or a coaster brake.